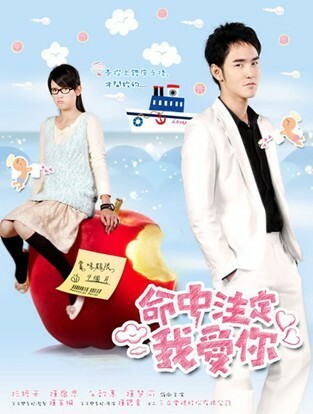 An unfashionable working-class girl Chen Xin Yi has the desire to tie down her handsome boyfriend to be with her. She plans a romantic love cruise taking care of all the expenses, hoping to lose her virginity and thus keep her boyfriend. On the same cruise is Ji Cun Xi the sole heir to a well-known company. He had planned to propose to long-time girlfriend Anna but was unaware that she never boarded the boat. In a huge misunderstanding Xin Yi and Cun Xi end up spending the night together, only in the morning realizing the mix-up. Although they vow to forget about their incident and continue on with their lives, Xin Yi soon finds out she is pregnant and the news reaches both Cun Xi and his family. Cun Xi's grandmother ecstatic over having a grandchild forces the two to get married. Still in love with girlfriend Anna, Cun Xi struggles between his selfishness and taking responsibility. Xin Yi being deeply burdened with guilt struggles to stand up for herself and become more than just a sticky note in other's lives. After being forced into marriage for the sake of their unborn child the couple discovers that Fate is in their hands.